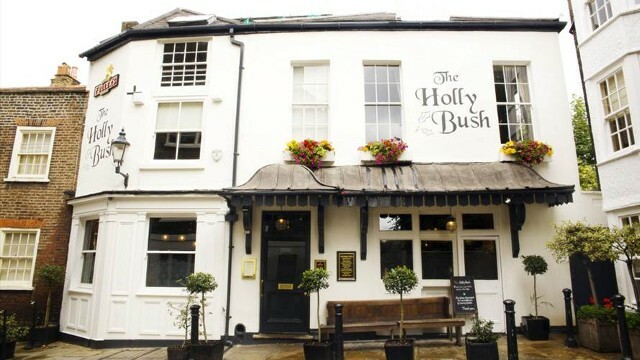 The Holly Bush is located in Hampstead which has developed and grown to become one of the most fashionable areas in London. This building was originally a stable block and became a tavern in the early 1800s. It has managed to retain its old fashioned qualities, worn oak flooring, wood panelling and original gas lamps hanging from the ceiling. The poetry society meet here once a week. Private parties of up to 50 guests can be catered for upon request. Is The Holly Bush your business?